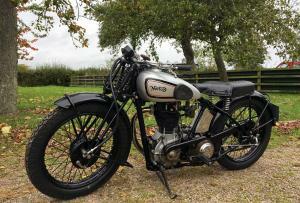 Norton CS1 ( Cam Shaft One ) OHC 500cc 1933 . 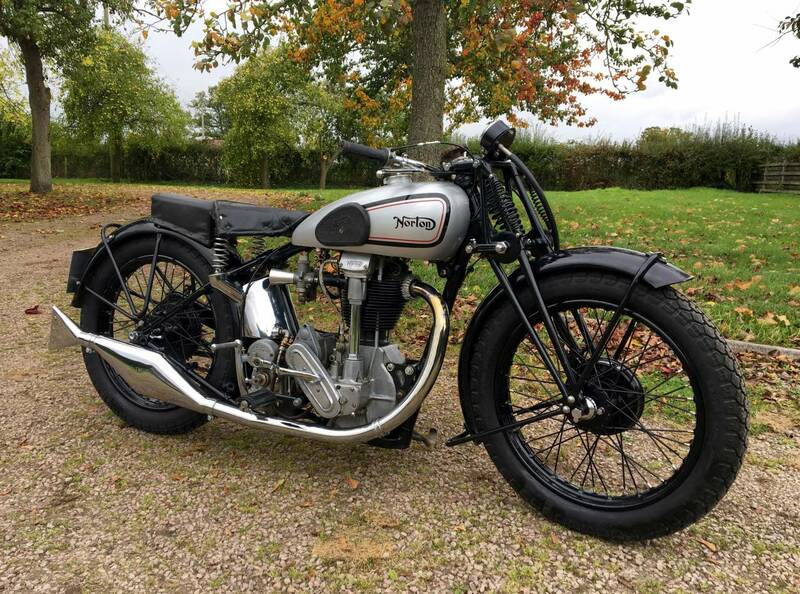 This Is A Rare Model And A Fine Example , With Correct Factory Frame , Engine , Gearbox , Tanks , Forks , Wheels , Etc . The Last Owner Acquired It In A Very Sad , But Original State , Almost 60 Years Ago ! He Gradually Restored It To Its Present Beautiful Condition . Engine and Frame Original Pair as Confirmed By The VMCC. He Told Us That He's Rebuilt The Engine , Restored The Frame Wheels , Guards , Tanks , Forks , Most Of Which Can Be Seen In The Photos . It Starts Easily , Using The Decompresser And Runs And Rides As A Good Cammy Should . Sounds Great Too ! Would Benefit From Fitting Of The Twin Pipe Float Chamber , That Comes With It And Plain Levers ; As The " Ball Ends " Look Horrible !! As We Are Exceptionally Busy , Will Leave These Little Jobs For The Next Lucky Owner To Do . 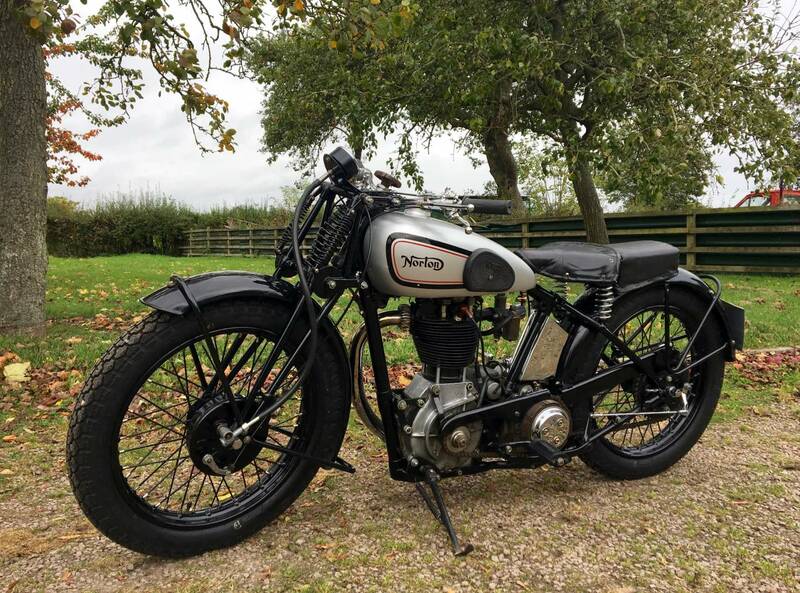 This Is A Rare , Original Potent , Example , Of A Very Sought After Model , With Great Character And That Pre-War , OHC , Racer Look . Great Fun And A Blue Chip Investment .